TripAdvisor has chosen Bali as the most ideal destination in 2017. This is not surprising for visitors to the beautiful island in Indonesia. Bali’s soul: Bali is known as the island of the gods, because many ancient Hindu religious symbols are marked in the daily lives of local people. 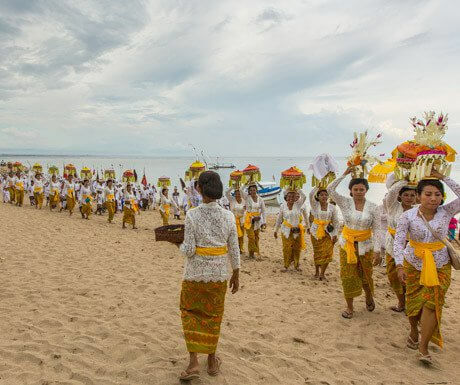 Balinese culture focuses on balance and harmony, which is reflected in the many festivals and ceremonies held regularly to express gratitude to the Hindu deities. Good culture is most evident through the friendliness and hospitality of the people. Indonesia has more than 18,000 islands, but Bali's culture makes it stand out and become a great destination. Tropical weather: Located in the equatorial area, Bali weather is hot and humid year-round, there’re only dry season (April-September) and rainy season (October-March). At the peak of the rainy season, Bali will be rainy all day, but most of the day will only rainy for about an hour so the air can be cool and fresh. So you can go to Bali all the time. Beaches: With the seemingly endless coastline, there are dozens of beautiful white sands in Bali for visitors to choose from. 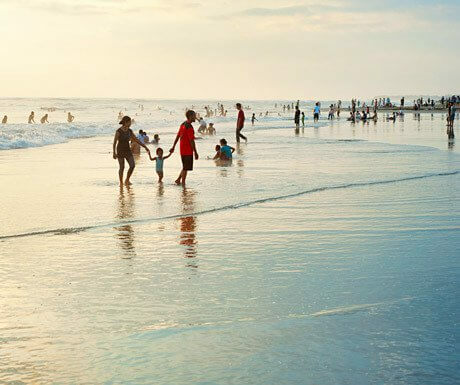 Popular areas like Kuta, Legian, Seminyak have bustling beaches, surfing and other water sports. However, there are still many pristine beaches that are truly captivating. You can look in the local fishing villages. The beach is most crowded at around 18h, when all gather to watch the sunset dazzlingly fall to Bali. Diversity: Wherever you stay on the island, local characteristics are integrated with modern facilities. Guests can enjoy cocktails at the resort's high-end bar, but are only steps away from the local eateries serving very cheap lunch. This diversity helps Bali popular with all types of travelers, from the backpackers, families, those who need to relax or the honeymoon couple. Whatever you want, Bali can meet your needs. Destinations: There are many historical and cultural attractions in Bali that show the rich heritage of this place. Variety and colorful festivals take place all year round. A great way to learn about local culture is to witness traditional dances or songs or take part in cooking classes. Adventure enthusiasts should go to active volcanoes, volcanic lakes, gorgeous rainforests, amazing waterfalls or boat trips on the river. Five star hotels and luxury villas: Bali has become a popular destination for travelers seeking high quality accommodation with world-class hotels, luxury private villas and well-known clubs on the seaside. The island has about 18,000 private villas. This is the choice of many people owning luxury and secluded space, enough space for large groups of visitors or families. They usually offer private butler to take care of clients more carefully. Restaurants, bars and clubs: Bali is not sleepy in the eyes of partygoers. Staff at the beach bar and club are always busy serving customers all day long until early in the morning. 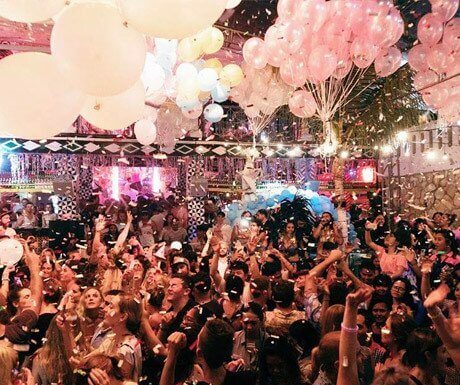 Fun points stretch from cheap bars to lavish clubs. Bali is also the destination of the world's top chefs, satisfying the taste of all visitors coming here. Saving cost: Holidays in Bali are often considered as reasonable. 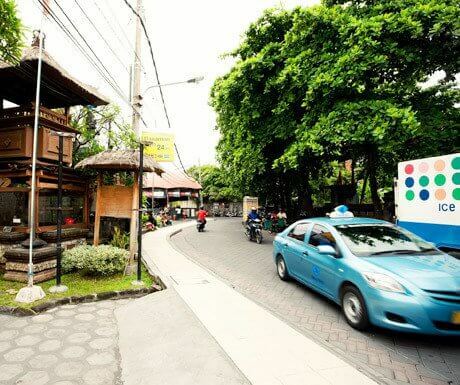 The typical costs are much lower than other resort destinations, such as taxi fare or very cheap private driving. 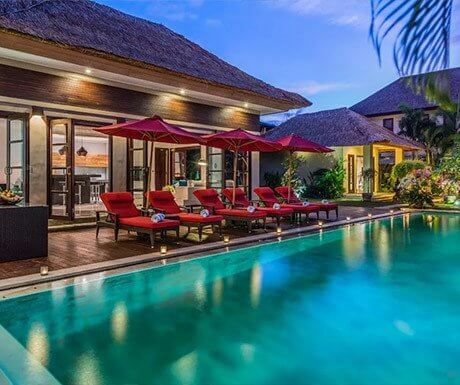 Around Bali there are a range of rental villas, all with private pools and private butler. They save money because you can rent a flat for your group or family. The quality here is comparable to a five star hotel employing private staff, but much lower cost. 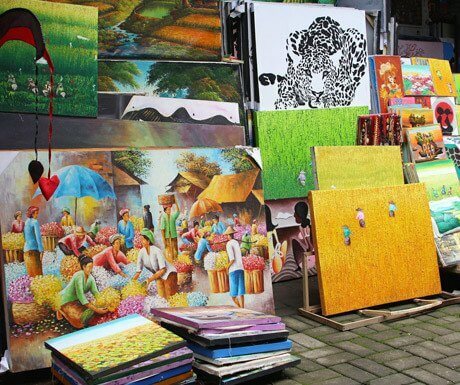 Shopping: Arts and crafts are the focus of Bali culture as well as the ideal souvenir. Handmade crafts, beautiful textiles and unique decorations are widely sold in shops and markets. Hundreds of independent fashion designers create their own product line featured in Bali and set up shop at the resort to sell the collections. In addition, Bali has several large commercial centers right at the beach with famous Western brands. The surrounding islands: Bali is just one of about 18,000 islands in Indonesia. 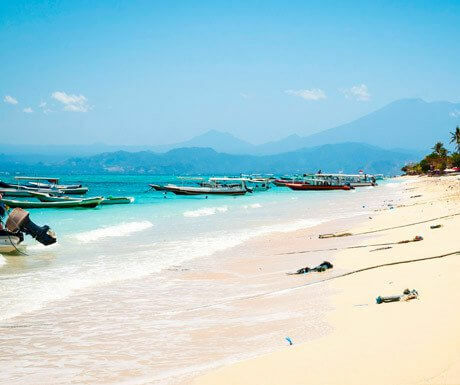 From Bali, visitors can take a boat to the small nearby islands such as Nusa Lembongan and Gili. Or you can choose Lombok, east of the larger island of Bali, with landscape like Bali’s 30 years ago with the small village community and the charm of pristine beaches. The islands are peaceful, no transport, surrounded by transparent waters and white sandy beaches, away from modern life. In addition, visitors should dive to admire the coral reefs and the tropical ocean world.